Den is a cheerful modern kaiseki (traditional multi-course Japanese dinner) restaurant where the diners and staff are happy to be there. While some kaiseki restaurants can feel fussy and stuffy, there is an air of lightness and delight at this Jingumae spot. The overall experience combines seasonal ingredients with art pieces on the table in a relaxed environment. Diners are welcomed by Emi Hasegawa, head of service and wife of chef Zaiyu Hasegawa. Emi, clad in kimono, oversees the front of house and, according to Zaiyu, is the “big boss.” The PR manager, an actual dog nicknamed Puchi Jr., is often in-house and may come out at the end of the meal to greet diners, making a “thank you” gesture with his paws. Each seat is set with colorful and artistic tenugui (a traditional Japanese cotton towel) from Yamatoya, a shop close to the old location in Jinbocho. The cloths, almost too beautiful to soil, are used as napkins. Hasegawa’s modern kaiseki is playful and creative. The meal often begins with crispy light monaka wafers, a traditional wagashi confectionery, sandwiching miso-marinated foie gras and seasonal pickles. Fried chicken is presented in a paper box that puts a smile on everyone’s face. Hasegawa’s twist on the traditional components of a kaiseki meal is a salad course, which is a colorful mélange of flavors and textures. Each vegetable is prepared separately before coming together and finished with a simple dressing of unroasted sesame oil and salted kombu. A sweet pickled tomato will burst in one bite followed by the crunch of deep-fried Jerusalem artichokes. 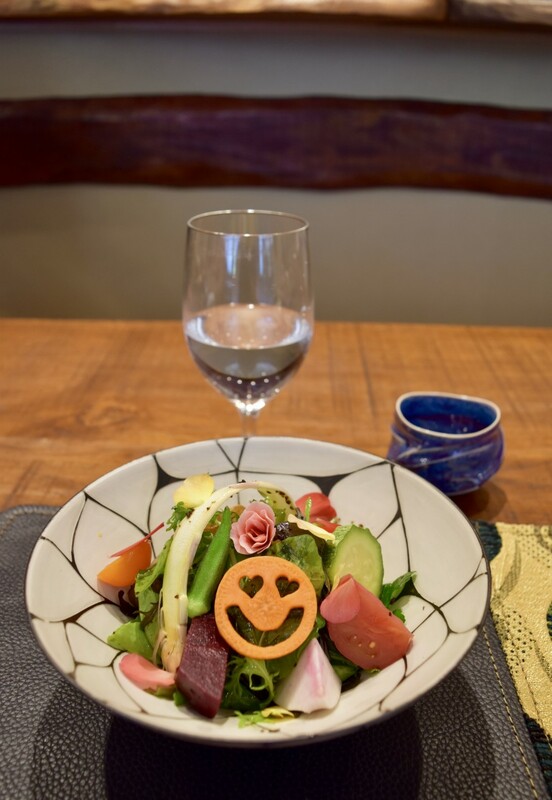 The vegetables are sourced from a farm in Chiba and from the foothills of Mount Fuji. The penultimate course is rice cooked in a donabe (traditional Japanese pot). 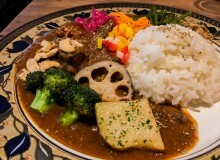 Depending on the season the rice will be mixed with vegetables, seafood or meat. Hasegawa’s introduction to haute cuisine was through his mother, a geisha in Kagurazaka. She often brought home delicacies and he became hooked from a young age. 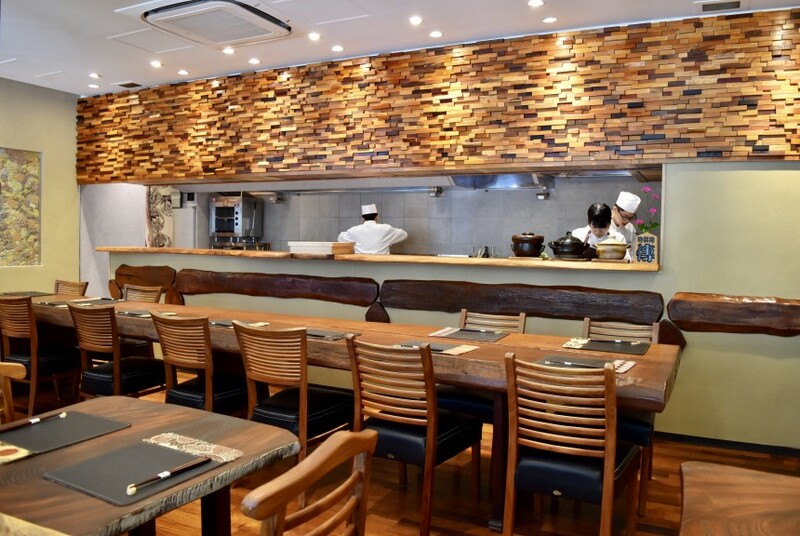 He trained at the traditional Japanese cuisine restaurant Kagurazaka Uotoku for five years. 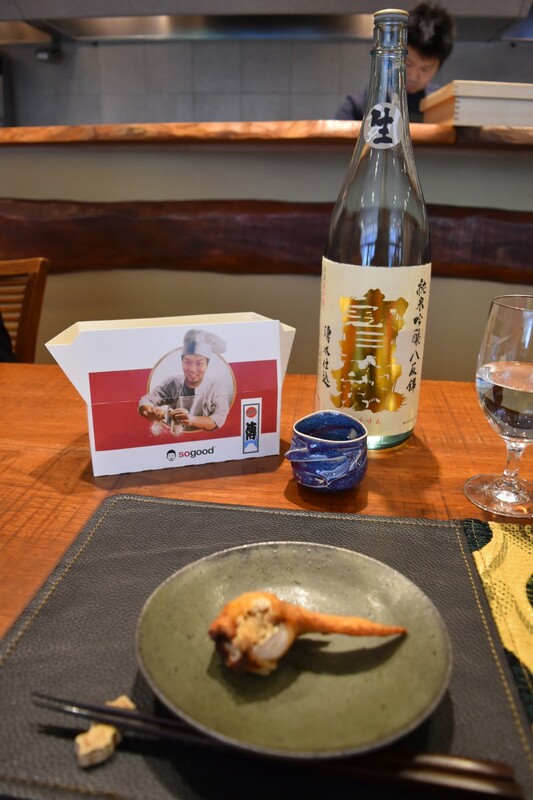 Hasegawa welcomes chefs from throughout Japan and around the world to apprentice in his kitchen. 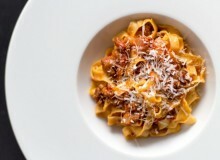 The exchange of information with chefs and purveyors is sometimes reflected in the dishes that are served. He often participates in collaboration dinners, both in Tokyo and overseas. 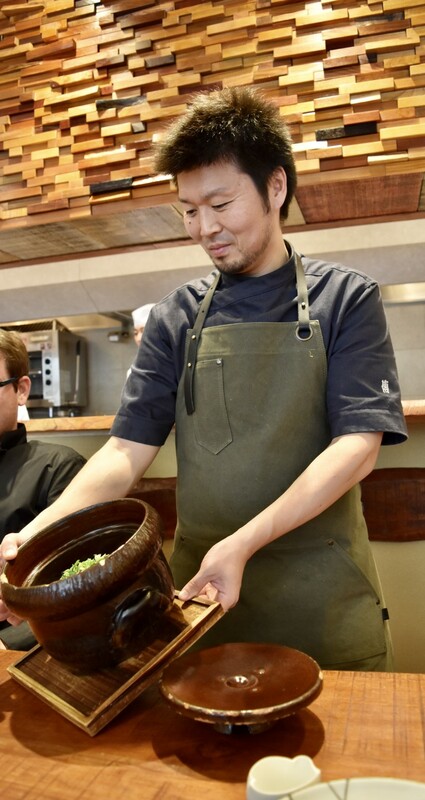 Chef Hasegawa often comes out to the dining room. He is easy to talk to and his big smile and warm laughter lights up the room. It’s so uplifting to dine at a restaurant with a positive vibe. Chef Hasegawa is the author of a cookbook, Den The Evolving Tokyo-Japanese Cuisine, reviewed by Metropolis. The book is one way to take Den cuisine back home, either to recreate some of the dishes or for the visual reminders in the photos. My family often makes the signature salad, albeit on a simpler level. 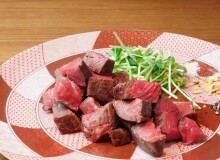 Many of the rice dishes are easy to recreate at home, like the wagyu beef rice. It is a popular restaurant, so plan ahead and try to book a month in advance.